Call or text Sarah @ 239-677-3525 today, She can answer all of your questions! or click here to find all of the resource available as to what will fit inside of our dumpster. 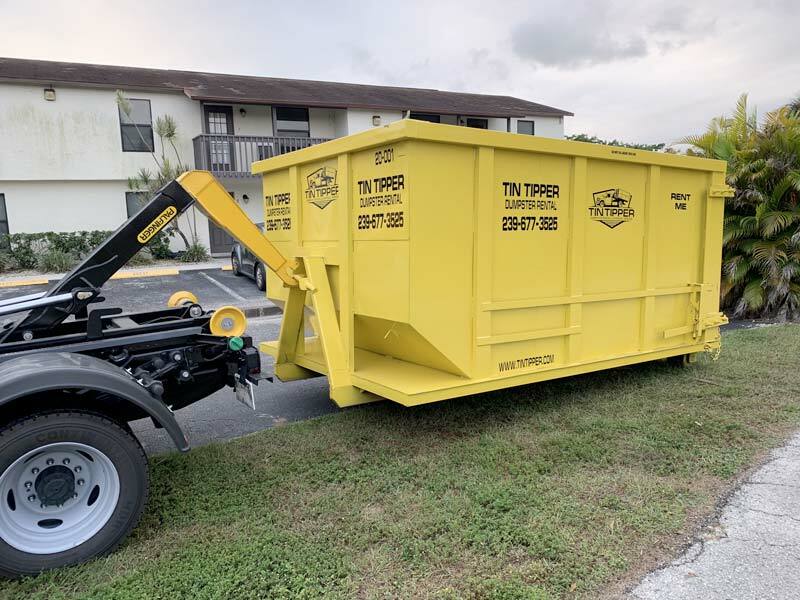 Our pricing includes up to 10 day dumpster rental, if additional days are needed, give us a call Tin Tipper Dumpster Rental will gladly help you with your project. The service charge is $10.00 per additional day for your dumpster rental. What is restricted from being disposed inside of the dumpsters? No Concrete, No Asphalt, No Dirt or No Sand. No Hazardous Waste : Fuels, Oils, Chemicals, Paints, Refrigerators Air Conditioners, 6 / 12 volt batteries, TV's, Computers, or Monitors. No Bio-hazardous Waste and No Biomedical Waste. Are your dumpsters residential friendly ? Absolutely! 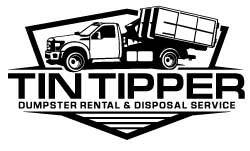 We here at Tin Tipper Dumpster Rental have a new fleet of vehicles that wont leave dirty stains on your driveway. We will always place wood under the dumpsters to prevent any scratching or scoring of your driveway. Our trucks are designed to easily maneuver around your property. Our dumpsters are also designed to take up very little space. You can expect our bins to be the size of a small car on your driveway. Do I need a permit for a Tin Tipper Dumpster ? No permits are required for our dumpsters, however local HOA may have their own set of ordinances that may have some dumpster placement restriction. Well, we can help with that too! Our dumpster are most of the time able to fit inside a 2 car garage. Call us for details! We take almost anything. Items that are not allowed in the dumpster are paints, chemicals, batteries, hazardous waste, concrete, electronics, and tires. What type of Payment does Tin Tipper Dumpsters accept? All Major Credit Cards, Cash, And Checks. What areas does Tin Tipper rent dumpsters to ? How do I open the rear gate of the dumpster ? Are you ready to rent a dumpster from Tin TIpper? Let us help you meet your needs!